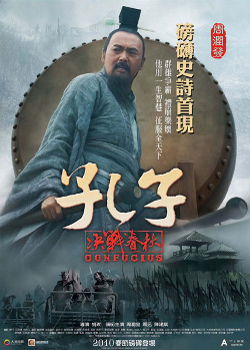 Based on the life of legendary Chinese social philosopher Confucius (551-479 BCE). In the age of warring Chinese states, during which countless wars were waged to unify kingdoms, the King of Lu gets help from highly influential philosopher Confucius to regain his power. Confucius uses his intelligence and charisma to save the state of Lu from inner conflict and perpetual war. However, the political powerhouses of the state start to feel threatened by the philosopher, fearing that they may lose their control over the puppet king. Confucius goes willingly into exile, wandering from state to state without losing his ideals for peace and harmony.